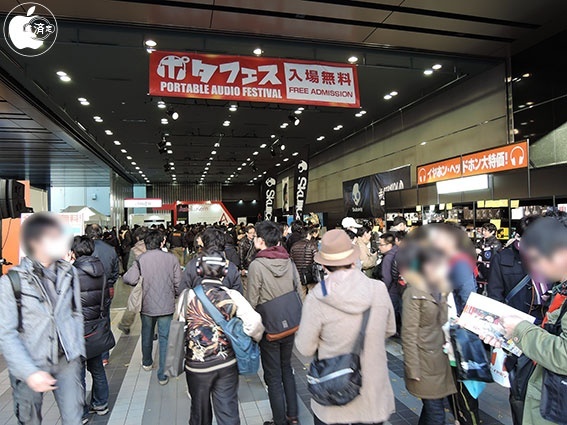 According to several insiders familiar with Apple, whose products are exhibited at PORTABLE AUDIO FESTIVAL 2015, the company has been developing Hi-Res Audio streaming up to 96kHz/24bit in 2016. The Lightning terminal with iOS 9 is compatible up to 192kHz/24Bit, but we do not have information on the sampling frequency of Apple Music download music. Also, many high-end audio manufacturers plan to add audio cables for Lightning to their lineups in 2016, and they apparently are preparing themselves for Apple Music's Hi-Res Audio.